The Colorado Plateau is located just to the north of Sedona and is the second largest plateau of its kind in the world. Within its confines are an array of diverse geological wonders. This tour is a highlight of these amazing places. We will allow you to see as much as possible within the daylight hours for the duration of your tour. Your tour begins going up scenic Oak Creek Canyon. Along the way is also a great opportunity to buy Indian jewelry and crafts directly from the Indians who sell them roadside. Once we reach the top of the switchbacks, enjoy the staggering views below as you peer deep into the bowls of Oak Creek Canyon showing you the road we came up and the intense basalt cliffs below. After heading through Flagstaff, there are several options you have. We may head to the Museum of Northern Arizona, which offers incredible exhibits about all aspects of Arizona natural, geological, and anthropological history. From there we head east of Flagstaff to Sunset Crater Volcano National Monument. 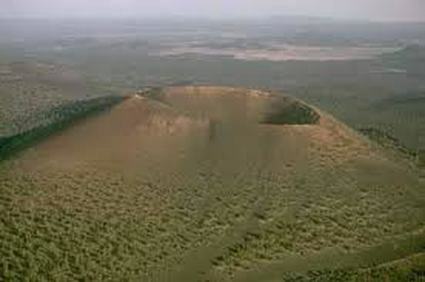 Sunset Crater Volcano was born in a series of eruptions sometime between 1040 and 1100. Powerful explosions profoundly affected the lives of local people and forever changed the landscape and ecology of the area. Lava flows and cinders still look as fresh and rugged as the day they formed. But among dramatic geologic features, you'll find trees, wildflowers, and signs of wildlife – life returns. As we continue, there is also Wupatki National Monument, which is so worth stopping at for it is ruins on a grand scale. 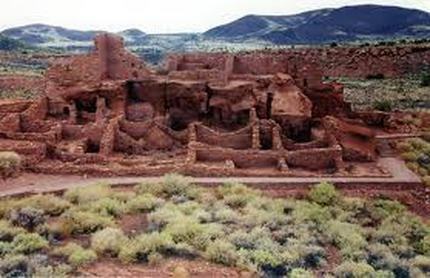 Less than 800 years ago, Wupatki Pueblo was the largest pueblo around. It flourished for a time as a meeting place of different cultures. Yet this was one of the warmest and driest places on the Colorado Plateau, offering little obvious food, water, or comfort. How and why did people live here? The builders of Wupatki and nearby pueblos have moved on, but their legacy remains. After visiting Sunset Crater & Wupatki, we will head further east to the magnificence of the of the Petrified Forest & Painted Desert, which are simply amazing. There you will see chunks of petrified wood the size of a school bus. The multitude of colors of the Painted Desert is so much grander than those crazy sand things you make at the county fair. Just a little further to the east is Meteor Crater. 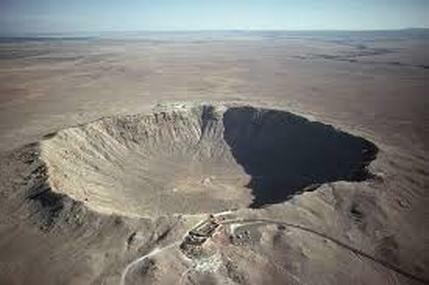 Just like it sounds, it’s one of the largest impact sites on the planet and is over 550 feet deep and almost a mile across. It’s amazing on every level. We then will head back into Flagstaff where we will stop at Lowell Observatory to enjoy seeing northern Arizona’s night sky. This is where Pluto was discovered. Once there, you will get a tour of the observatory and surrounding buildings. Weather permitting; you can even get to peer deep into the heavens through one of their many telescopes. The duration of this tour is 10 – 14 hours.